It was a rough day on Lake Erie. the water was dirty from the blow and i had to find some clean water to get these folks some big fish because that it what they where after. We ended up trolling north of Kelly's island and found some nice walleye for them. We pulled a few nice fish and a basket of other nice walleye for them to take home. pink lemonade perfect 10 and blue chrome bandits took all the fish about 15 to 25 feet down 1 to 1.3 mph over 45 foot of water. Not many limits where found yesterday. lots of fish in the system our future looks good if we can get some good weather. 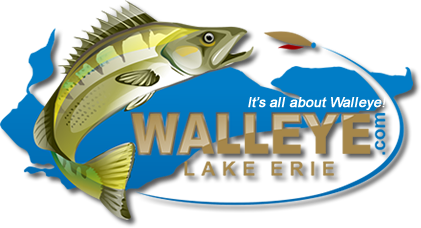 Still have some spots available if you want to get out on the Lake and Chase some Walleye shoot me a message or give me a call. another great picture from yesterdays trip that my customers took and shared with me.